Hunter Oceanic is excited to announce the recent completion of a fully supported deployment of Seahub onboard an 88m Feadship in Miami, Florida. The deployment involved a complete migration of 6 years’ worth of data from an existing system to the newly released Seahub platform. Seahub was compared against other major providers in the market and the decision was made to go with the Australian product based on its ease of use and comprehensive support network. “We compared a number of products available on the market, but we were looking for a more highly supported platform” says the Captain. The data migration and account set up process was outsourced to the Seahub installation team. Technical Director, Matt Hyde spent three weeks onboard working closely with the engineering department to deliver a concise and comprehensive deployment and training package. “The migration involved 350 components, 1000 maintenance schedules, 2500 documents and over 3000 inventory Items” says Hyde. Hyde worked very closely with the Chief Engineer onboard, who has been using the original system for almost 6 years now. “When implementing a new planned maintenance system one of the most worrying things is the transfer of all previous information. Matt and his team made sure that the transition to Seahub was seamless” says the Chief Engineer. During the deployment, direct feedback from the engineering team was welcomed and discussed amongst the Seahub team. Where fit, suggestions were implemented and this process is still continuing today. “Whilst bringing the system online they were open to our suggestions and I almost feel like we have a system that is tailor made to our needs” says the Chief Engineer. Extensive hands on training was provided to all members of the engineering team and continued each day throughout the three-week site visit. “The training and support was very clear and concise. Matt was very knowledgeable about the system and was able to give the engineering team onboard a good understanding of the inner working of the system as well as helping us getting to grips with the practicality of every day use. This hasn’t stopped since the system was handed over, the Seahub support team are available 24/7 for any advice and assistance that is required” says the Chief Engineer. The immediate benefits of the platform were observed first hand by the installation team. “The previous system was only available on one computer, now all 4 engineers can log onto Seahub at the same time and work independently using the new planned maintenance system. I’m even seeing an iPad used now in the bilge managing stock control”. 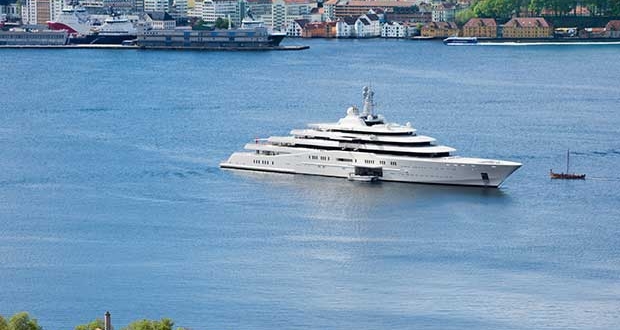 This Feadship is just the latest vessel making the switch to the highly intuitive and easy to use platform for managing their day-to-day maintenance and inventories. The team at Hunter Oceanic strive to evolve Seahub to meet the industry needs and will continue this for years to come. 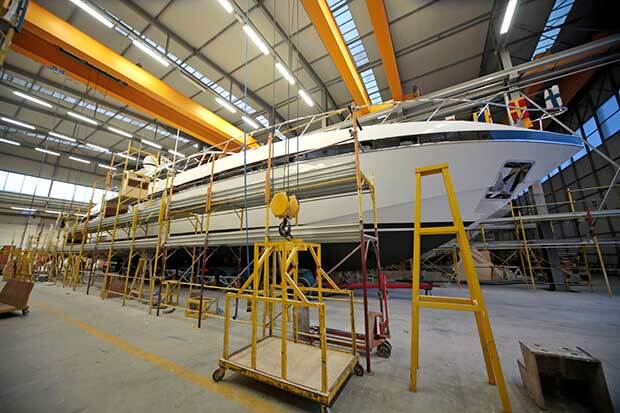 Seahub is suitable for any size vessel, including sailing yachts.